A large increase in the use of nuclear power would help keep global warming to below 1.5 degrees, according to a United Nations report published today. The Intergovernmental Panel on Climate Change (IPCC) special report - Global Warming of 1.5 degrees - was commissioned by governments at the Paris climate talks in 2015 and will inform the COP24 summit in Katowice, Poland this December. The shares of nuclear and fossil fuels with carbon dioxide capture and storage in electricity generation are modelled to increase in most 1.5-degree pathways "with no or limited overshoot". "Nuclear power increases its share in most 1.5-degree pathways by 2050, but in some pathways both the absolute capacity and share of power from nuclear generators declines," the Summary for Policymakers of the report says. "There are large differences in nuclear power between models and across pathways. One of the reasons for this variation is that the future deployment of nuclear can be constrained by societal preferences assumed in narratives underlying the pathways. Some 1.5-degree pathways no longer see a role for nuclear fission by the end of the century, while others project over 200 EJ yr of nuclear power in 2100." "Even though historically scalability and speed of scaling of nuclear plants have been high in many nations, such rates are currently not achieved anymore. In the 1960s and 1970s, France implemented a programme to rapidly get 80% of its power from nuclear in about 25 years, but the current time-lag between the decision date and the commissioning of plants is observed to be 10-19 years," it says. The current deployment pace of nuclear energy is "constrained by social acceptability in many countries", it notes, owing to concerns over risks of accidents and radioactive waste management. "Though comparative risk assessment shows health risks are low per unit of electricity production, and land requirement is lower than that of other power sources, the political processes triggered by societal concerns depend on the country-specific means of managing the political debates around technological choices and their environmental impacts," the report says. "Such differences in perception explain why the 2011 Fukushima incident resulted in a confirmation or acceleration of phasing out nuclear energy in five countries while 30 other countries have continued using nuclear energy, amongst which 13 are building new nuclear capacity including China, India and the UK," it adds. The costs of nuclear power have increased over time in some developed nations, it says, "principally due to market conditions where increased investment risks of high-capital expenditure technologies have become significant". "Countries with liberalised markets that continue to develop nuclear employ de-risking instruments through long-term contracts with guaranteed sale prices. For instance, the UK works with public guarantees covering part of the upfront investment costs of newly planned nuclear capacity. This dynamic differs in countries such as China and South Korea, where monopolistic conditions in the electric system allow for reducing investment risks, deploying series effects and enhancing the engineering capacities of users due to stable relations between the security authorities and builders," it says. In a statement to accompany the report, the IPCC said limiting global warming to 1.5 degrees compared to 2 degrees "would require rapid, far-reaching and unprecedented changes in all aspects of society". It adds: "With clear benefits to people and natural ecosystems, limiting global warming to 1.5 degrees compared to 2 degrees could go hand in hand with ensuring a more sustainable and equitable society." Global Warming of 1.5 degrees is the first in a series of Special Reports to be produced in the IPCC's Sixth Assessment Cycle. Next year the IPCC will release the Special Report on the Ocean and Cryosphere in a Changing Climate, and Climate Change and Land, which looks at how climate change affects land use. Responding to the report, Agneta Rising, director general of World Nuclear Association said: "Today's IPCC report makes clear the potential benefits of limiting climate change to 1.5 degrees, the urgency for action to achieve this and the necessity of nuclear energy as an important part of an effective global response." Achieving a rapid decarbonisation of the electricity sector will require, at first, deploying proven technology, the Association said. The report recognises that the projected increase in nuclear generation can be realised through existing mature nuclear technology or through new options such as generation III/IV reactors and SMRs. 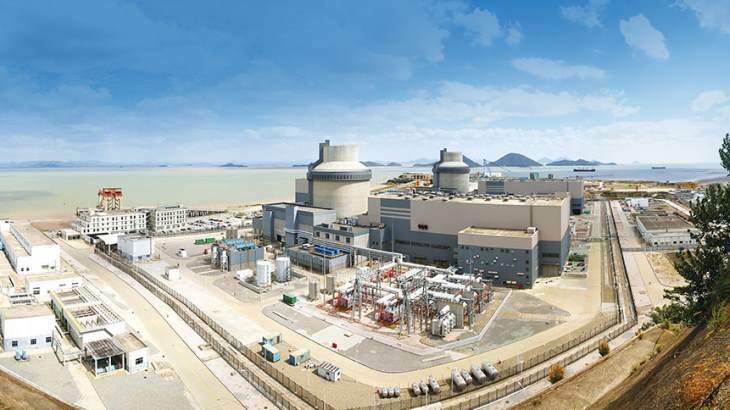 Generation III reactors have already come into operation in several countries, it added. The Association noted the report says that, historically, "scalability and speed of scaling of nuclear plants have been high in many nations", noting that France implemented a programme to rapidly get 80% of its (electrical) power from nuclear. The report also says that "comparative risk assessment shows health risks are low per unit of electricity production" and land requirement is "lower than that of other power sources." The report also states that nuclear economics have been improved in countries where the electricity system allows for reduced investment risks, the realisation of benefits from series build or through stable relations between regulators and industry. However, in some other countries market conditions have increased investment risks of high-capital expenditure technologies, such as nuclear. The report also notes that the current deployment pace of nuclear energy is constrained by "social acceptability" in some countries. Rising said: "The IPCC report highlights the proven qualities of nuclear energy as a highly effective method of reducing greenhouse gas emissions, as well as providing secure, reliable and scalable electricity supplies. To maximise nuclear energy's contribution electricity markets need to acknowledge these benefits. We also need more effective harmonised regulatory processes to facilitate significant growth in nuclear capacity and an effective safety paradigm where the health, environmental and safety benefits of nuclear are better understood and valued by society." Dr Jenifer Baxter, head of engineering at the UK's Institution of Mechanical Engineers, said the IPCC's target to generate 70-80% electricity from renewables is ambitious, adding there is a need to "look at the broader picture" and focus on reducing the carbon intensity of the whole electricity system. She said: "Currently renewables are backed up by gas when they are not generating and, in the UK, gas is backed up by coal. Carbon capture and storage may help to some extent, but this infrastructure runs the risk of locking us into a fossil fuel-based system. We are not yet in the position to create enough long-term storage from environmentally friendly sources to fill the supply gap when renewables are not generating. "We have very limited options for more hydro power in the UK, batteries do not yet provide the type of storage needed and other options like liquid air and hydrogen storage are still early in their development stages. "Another option to reduce the carbon intensity of the electricity system is to take a more certain approach to nuclear power by planning a long-term rolling programme of development that grows the supply chain and required skills, as well as reducing the overall costs of building new power stations. Going beyond the electricity system, we should explore the relationship between nuclear and producing hydrogen through electrolysis to provide decarbonised fuel for heat, transport and industry."